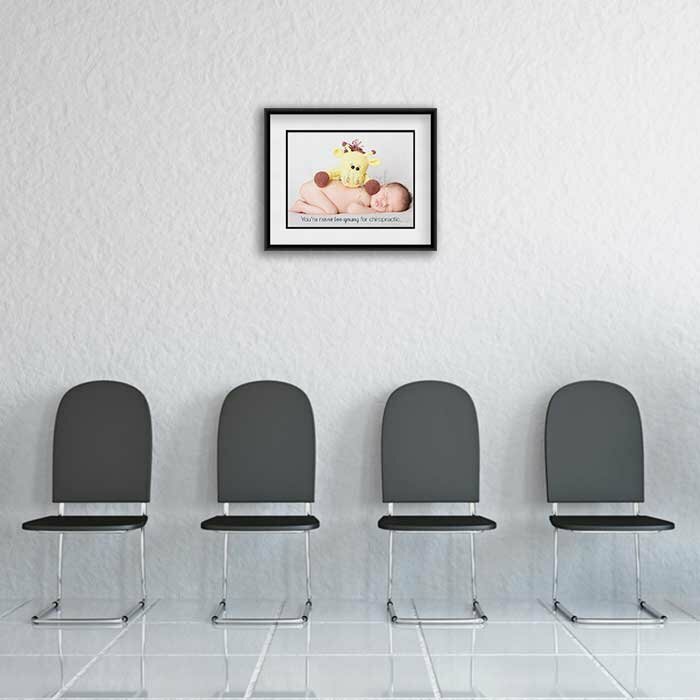 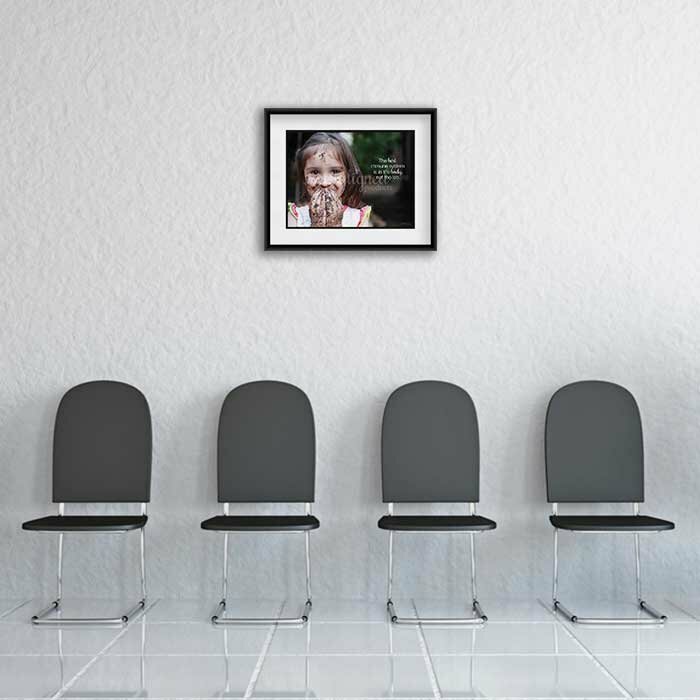 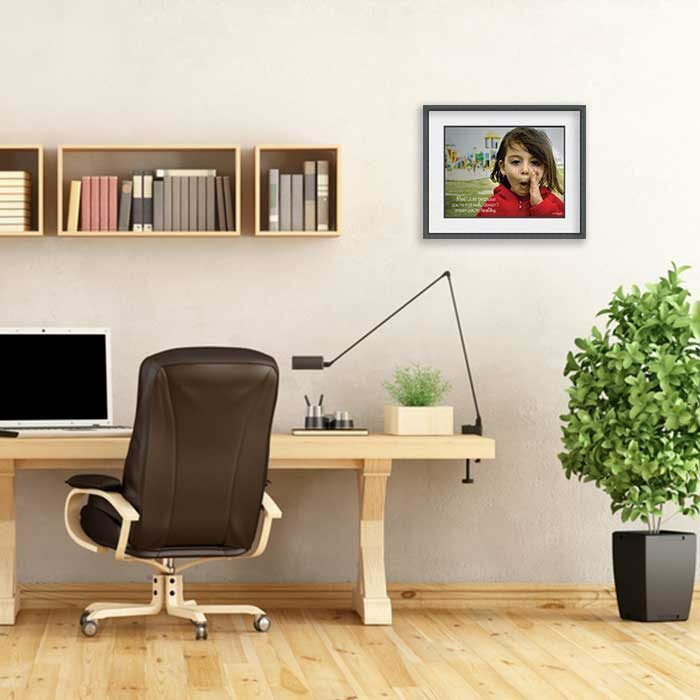 A must have place for the poster is in the exam/consultation room so when going through the history of the child, you have a visual “checklist” and image to walk them through connecting the dots. 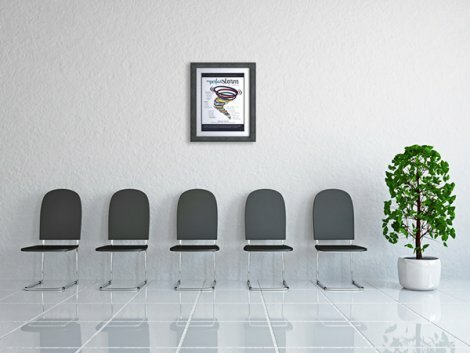 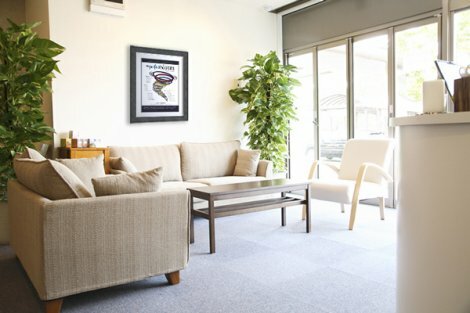 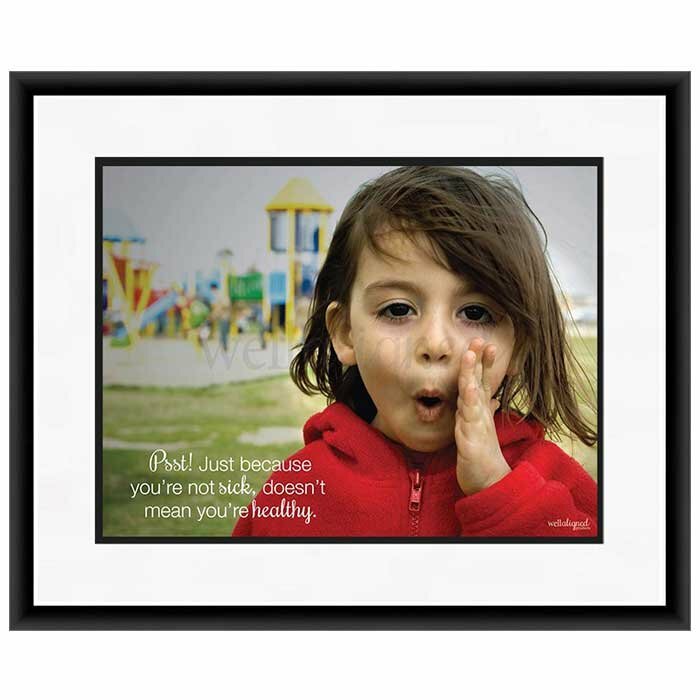 It is also a good poster for the waiting room, hallways, and even the adjusting room. 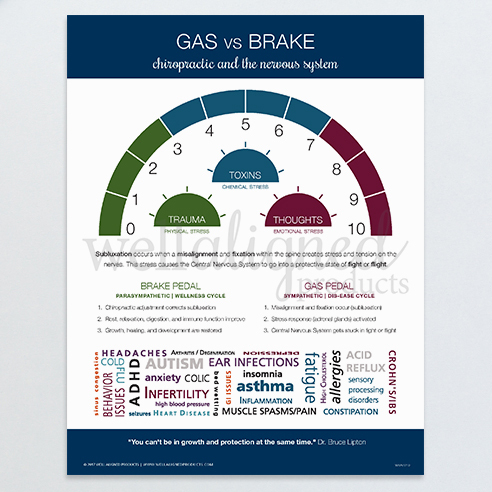 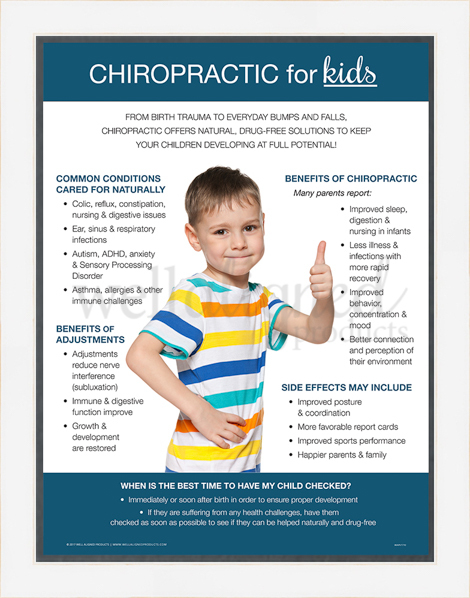 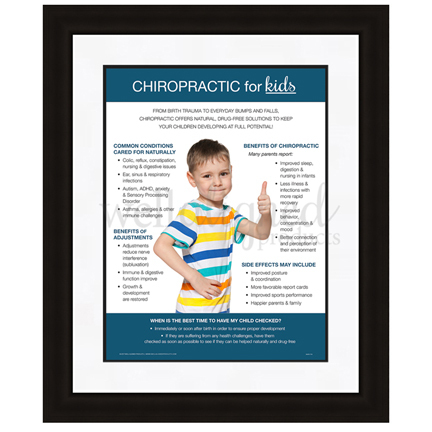 If you wish to see more kids in your practice, then putting this poster and handout where patients can see it will help that tremendously. 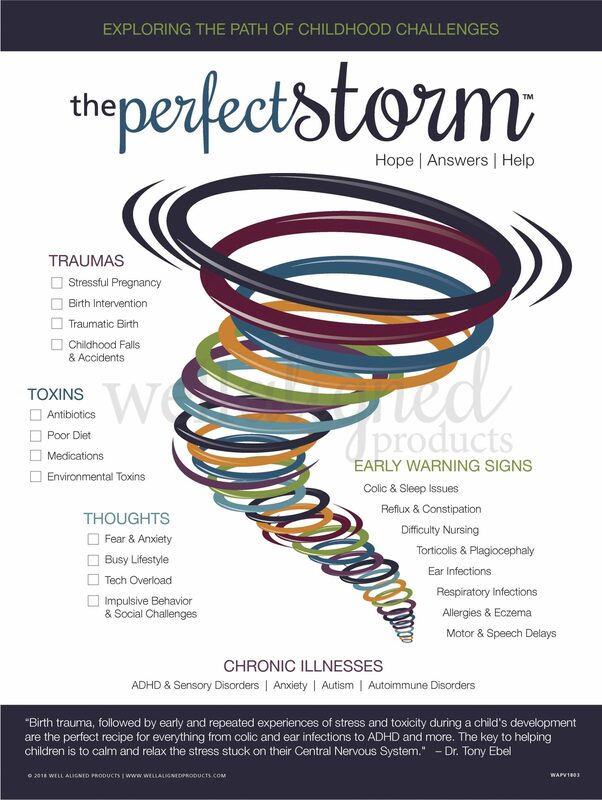 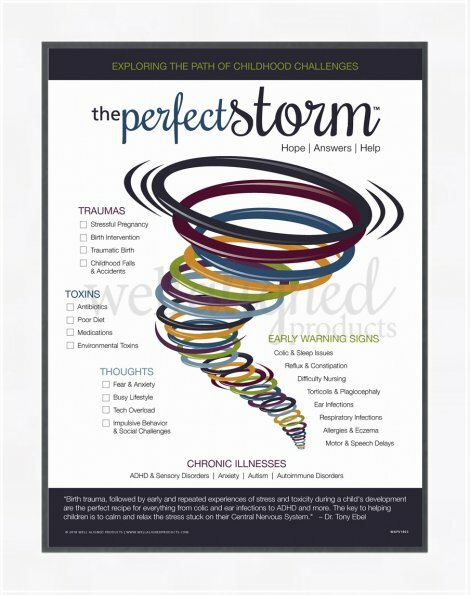 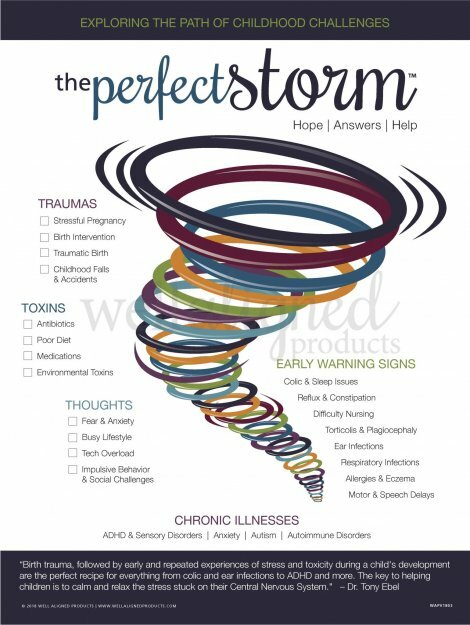 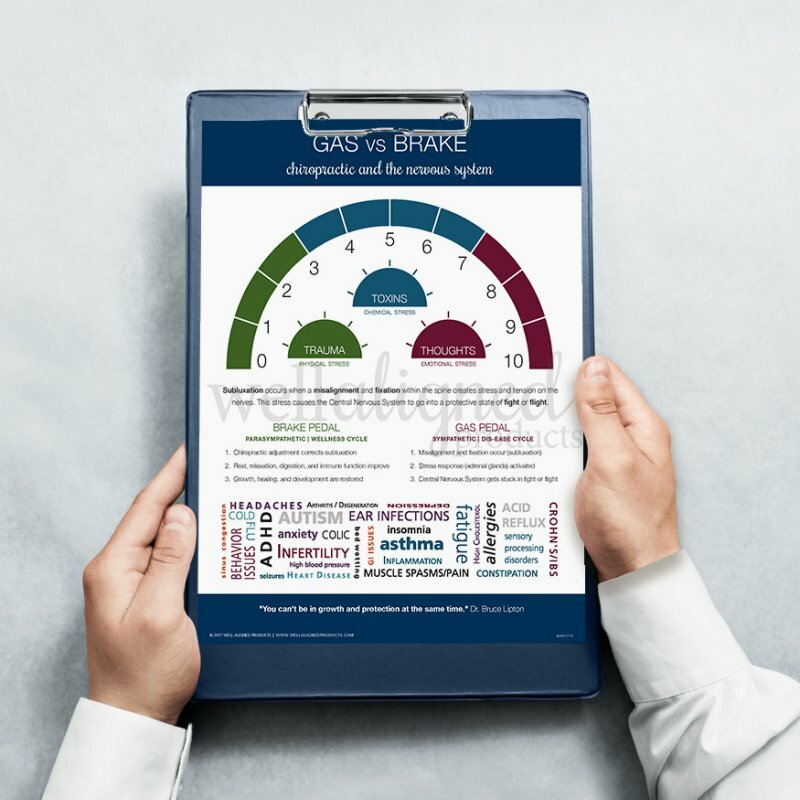 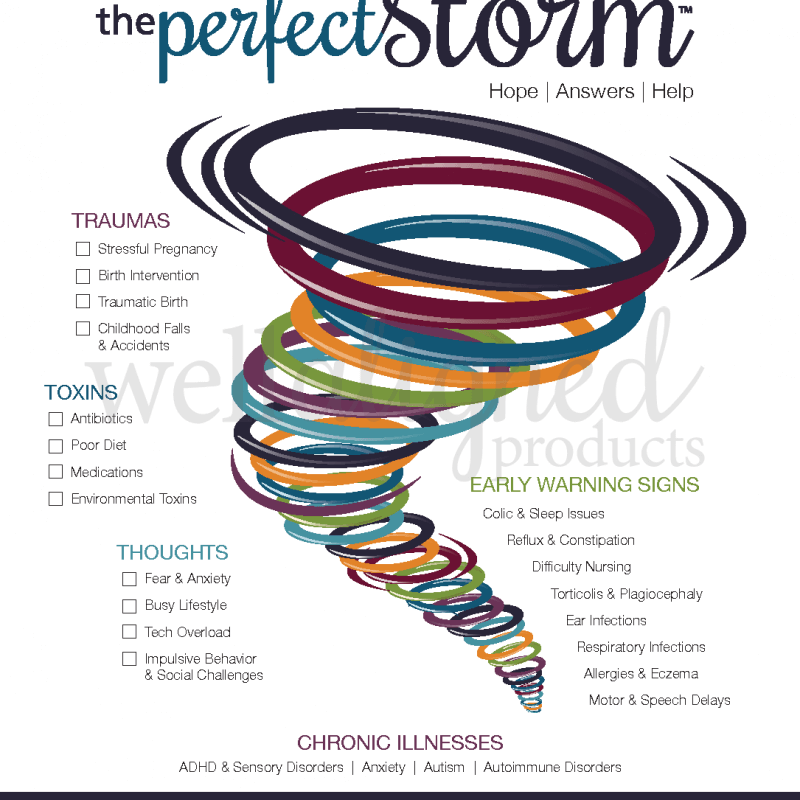 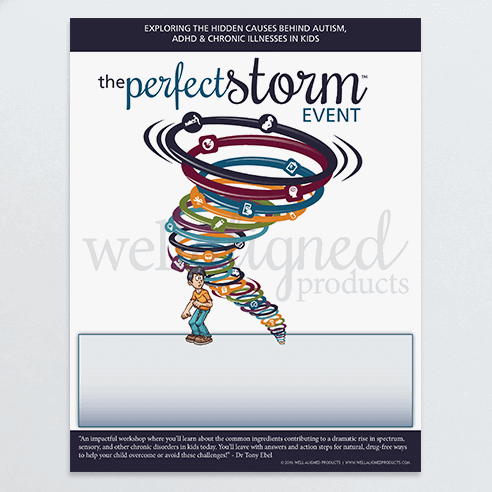 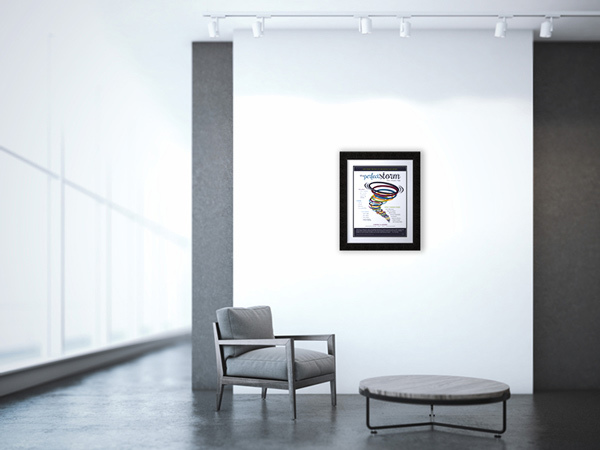 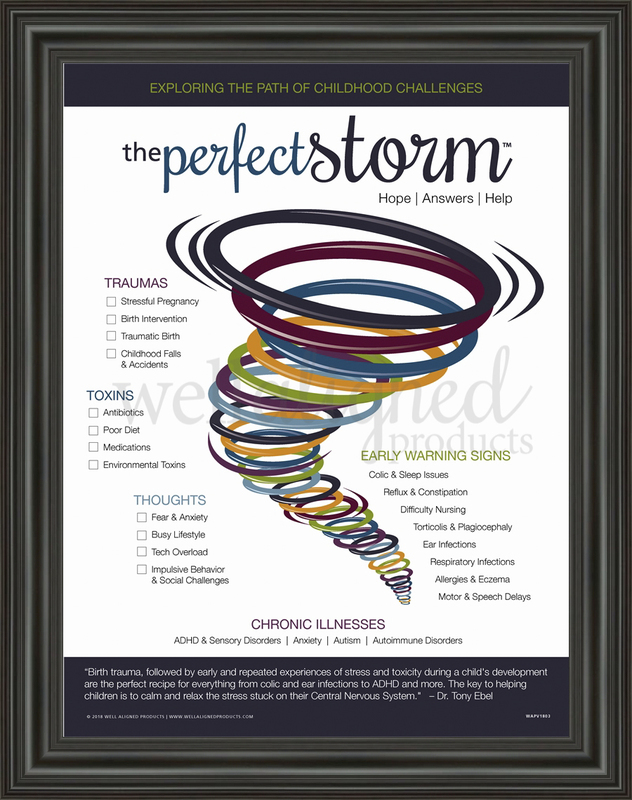 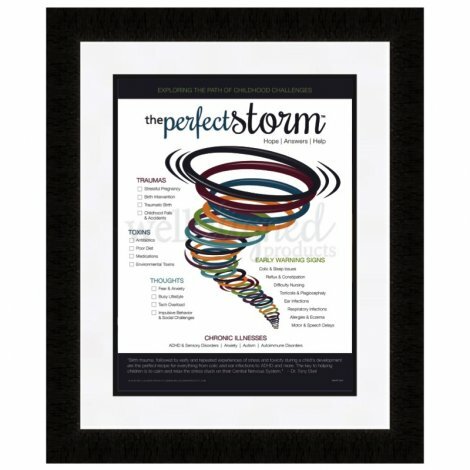 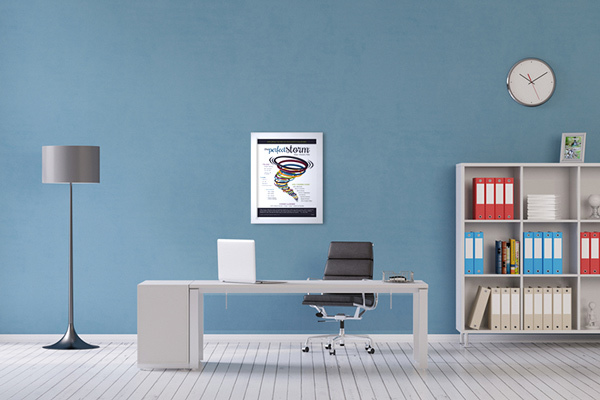 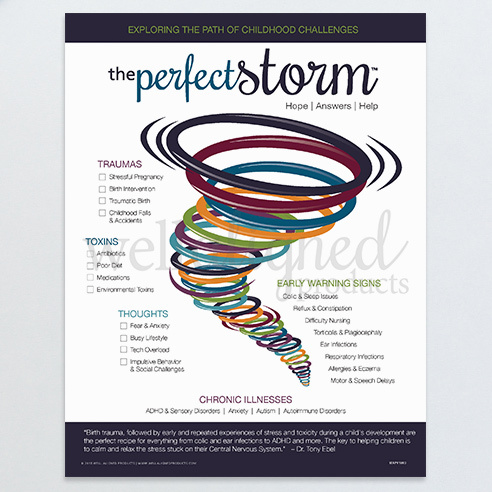 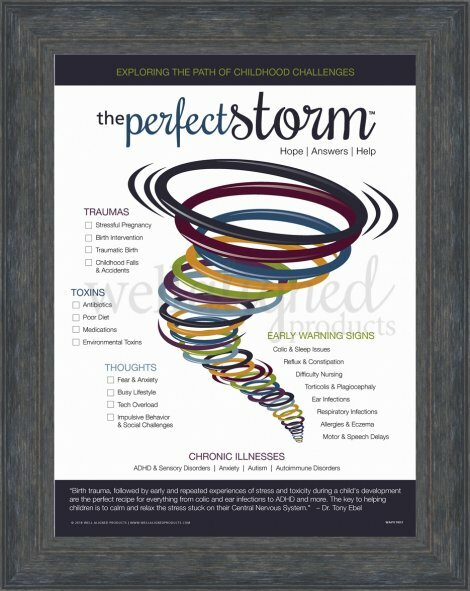 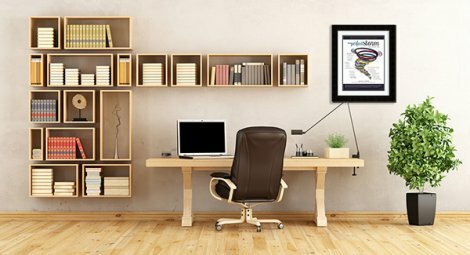 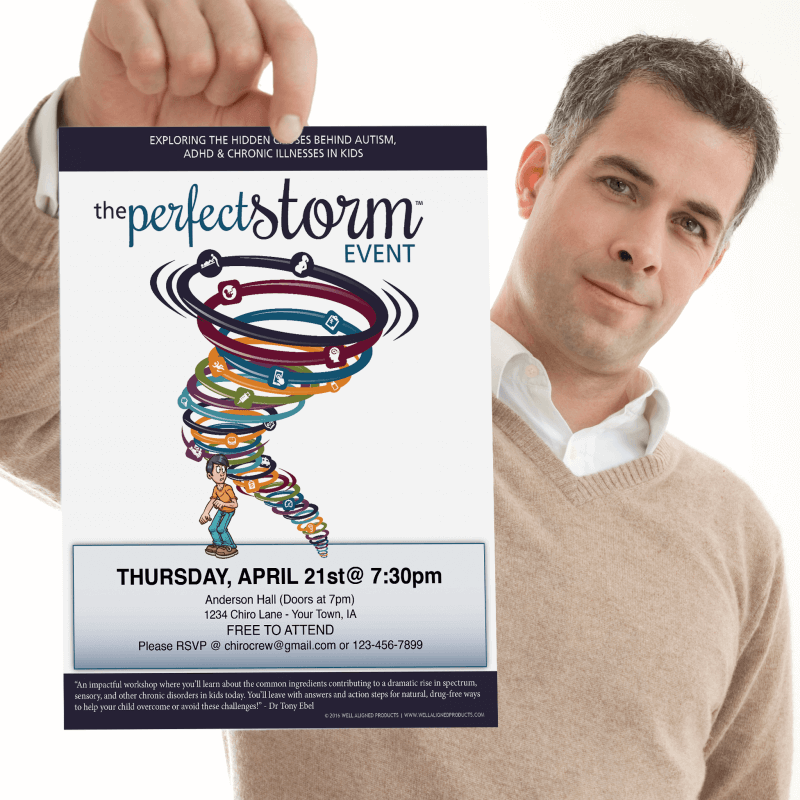 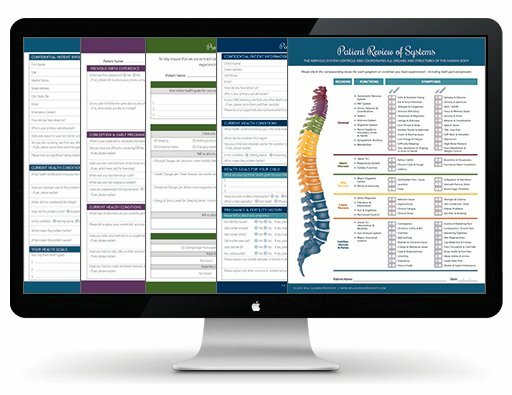 Display this poster at your next Perfect Storm event to provide a seamless and consistent brand from you marketing to your event folders. 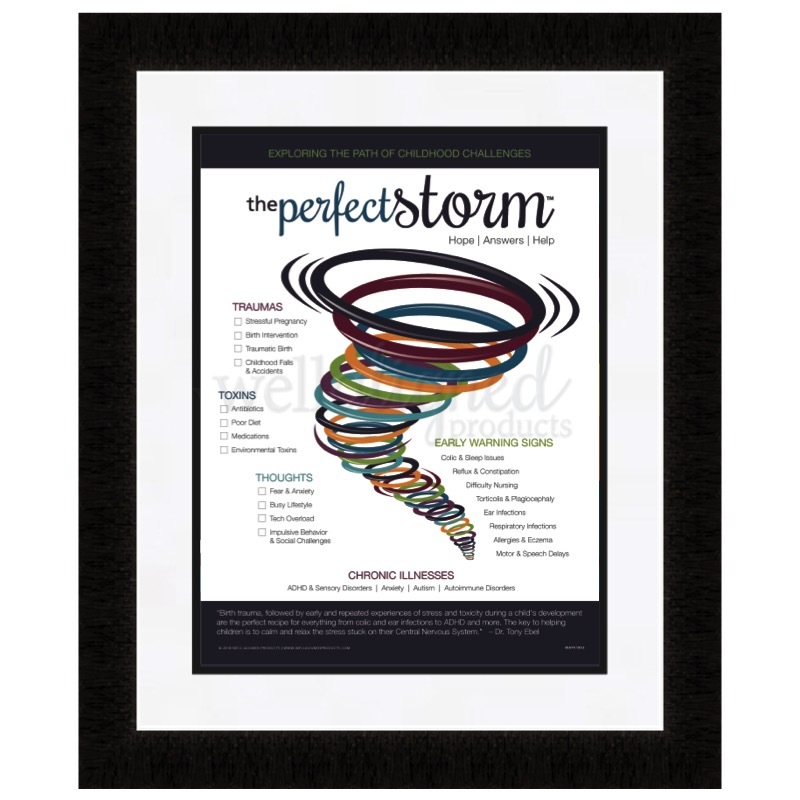 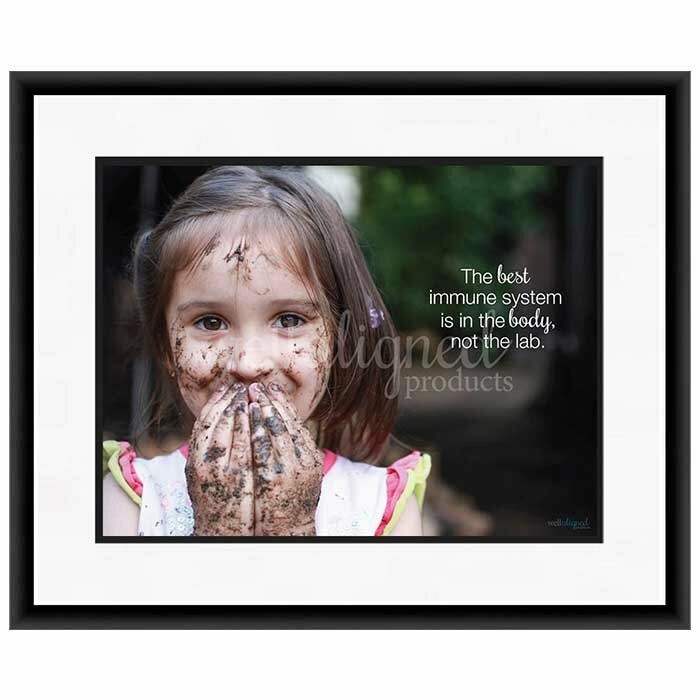 Look like you have your stuff together from beginning to end with this amazing poster.